Are you breaking Philly law with your Christmas tree? Close up of a Christmas tree. In homes celebrating Christmas this season, you’ll likely find one of two kinds of Christmas trees. The first option is noble and naturally green; it’s been carried or driven across city blocks and into the home, positioned carefully – though maybe a little crookedly – in its stand. Grown and nurtured for years at some distant tree farm, it’s been hand selected among dozens and dozens of other trees by its new owners, who've shelled out a pretty penny in the name of Christmas cheer. Are outdoor fire pits legal in Philadelphia? The other kind is made of polyvinyl chloride and folds up into a box that sits in some dark, dejected part of the apartment for 11 months out of the year. It smells like … not pine. Based on those two completely unbiased descriptions, who can really say which is better? Well, regardless of your opinion, if you live in a Philadelphia apartment building, the decision probably has already been made for you. The official fire code of Philadelphia, in the section under the heading “Decorative Vegetation in New and Existing Buildings,” states that “natural cut trees,” are prohibited in high-rise and multi-unit Philadelphia buildings. One or two-family houses, however, have the go ahead for the “decorative vegetation” of their choice. 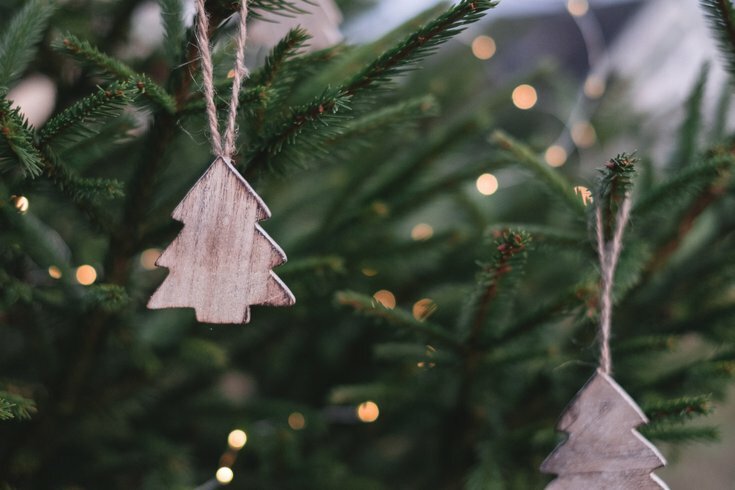 Though the law is in place to help avoid fires that could arise from overly dry Christmas trees, Philadelphia’s policy actually is pretty strict compared to a lot of other cities. Pretty ironic in a state where setting your own house on fire won't necessarily get you charged with arson. Even in New York, cut Christmas trees are legal in apartment buildings and single-family homes alike. Most other big U.S. cities have a similar tree protocol. Luckily if you choose the renegade life and get a real tree anyway, you shouldn't worry about facing eviction or anything. You will, however, be subject to a $300 ticket if you get caught, according to Curbed. Now, if you neglect to water said tree and indeed start a fire, well, your eviction doesn't seem outside the realm of possibilities – or worse. Don't say we didn't warn you.